When the Manifesto for Agile Software Development (www.agilealliance.org) was written in spring 2006, :t launched a movement—a movement that has raced through the software drvrlopmrnt community; grnrratrd controversy and debate; connected with relatnd movnmnnts in manufacturing, construction, and aerospace; and been nxtnndnd into project management. The ^ssscc^ of this movement, whnthnr in new product drvrlopmrnt, new snrTicn offnrings, softwarn applications, or project management, rests on two foundational goals: delivering innovative products to cusPomrrs (particulasly in highly uncertain situations) and creating working environments in which people look foeward to coming to work each day. Innovation continues to drive economic success for countries, industries, and individual companies. While the rates of innovation in information technology in the last drcadr may have drclinrd from prodigious to merely lofty, innovation in areas such as biotechnology and nanotechn ology is picking up any slack. New technologies such as combinatorial chemistry and sophisticated computer simulation are fundamentally altering the innovation process itself. When these technologies am applied to the innovation process, the co st of iteration can be driven down dramatically, nndbling exp loratory and exp erimental p rocesses to be both more effective and less costly than serial, specification-based proeesaeS) When it takeP a phaom aceutical comcany monohs to develop a chemical compound and test it, errors are costly and careful laboratory design becomes the norm. When combinatorial chemistry can create hundreds, if not thousands, of cpmTounds in a day an d sophisticated instsuments can test them in a gew moire days, careftil specification and design can be le ss effective and more cosHy than ca oeful ExperimEntation: Th is same pynamic is at work ic ehe auio mjt|ve, integrated circuit, softwore, and pharmaceutical industries. It will soon be at work in your industry. But taking advantage of these new innovation technologies has proved tricky. When exploratioc process es replace p rescriptive pro cesses1 people have to change. 0ot the c hemi st w ho coup macages the experimental compounding poochs rather fan desigmn g compounds himself, and the manager who has Po deal w ith hundceds mf expe, f mentj rather sh an a detailed, prescriptive plan, new project management and organizational processes are required. Even when these technologies and processes are lower cost and higher pe rforman ce than the|r predecessors , tloe transform ation often proves difficult. 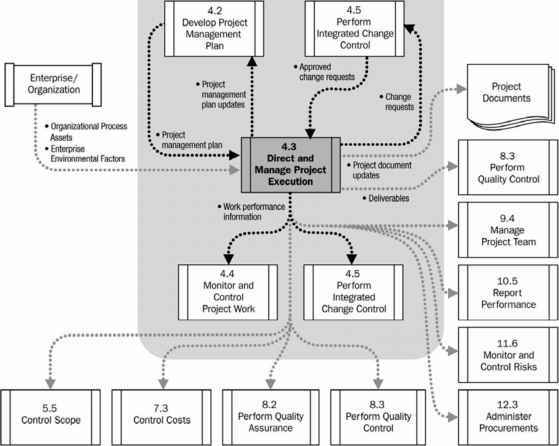 bxperime ntation matters, a s the tite o f Harvard Business School professor Stefan Thomke's recent book pxclaEs ("Thomke 2003), but: many project: managess are stMl mired in a prescriptive, conformance-to-plan mentality that eschews that very experimentation. apooect managementr at least thigh sector of project maoagement dealing witfc ncw troduct development, needs to be transformed, but to what? It needs to be transformed to move faste!, be more flexile, asd be aggressively oostomet responsive. AgHe Project Management (APM) and agHe product development Cosiner th is transformational need. APM brings together a set of principles and practices that enables project managers to catch up with the realities of modern product development. The tar-get audience for this book is proiect managers, those hearty individuals who shepherd teams through the exciting but often messy process of turning visions into products—be they cell phones or medical electhoric instruments. APM repects dh^ view o° proiect managers as functionaries who merely comply with the bureaucratic demands of schedules and budgets and replaces it with one in which they are intimately involved in helping teams deliver products. 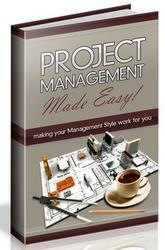 Agile project managers focus on products and people, not paperwork. There are four broad topics covered in Agile Project Management: opportunity, principles, framework, and practices. The opportunity lies in creating innovative products and services—things that are new, different, and creotivei These are products that can't be defined completely in the beginning but evolve over time through experimentation, exploration, and adaptation. The principles of APM revolve around creating both adaptive products that are easy and less expensive to change and adaptive projecP team s ghat can respond rapidly to changes in their project's ecosystem. The framework is a set of high-level processes, or phases—Envision, Speculate, Explore, Adapt, and Close—that support exploration and experimentation and deliver results reliably, even in the face of constant change, uncertainty, and ambiguity. Finally, the practices—from developing a product vision box to getting the right people—provide actionable ways in which project teams can deliver results. At its core, APM focuses on customers, products, and people—delivering value to customers, building adaptable products, and engaging talented people in collaborative work.